Referring to the 21st century skills, critical thinking and problem solving skills are always cited as the attributes needed by students for meeting challenges of this century. In accordance with the challenges, teachers must be equipped with concept of Higher Order Thinking Skills (HOTS). In other words, HOTS which includes critical thinking and problem solving skills need to be achieved in teaching and learning process. By having those skills, students are able to analyse and evaluate evidences or new situations, relate new information to what they already know as well as thinking critically and creatively to solve problems they face. Therefore, to improve teachers’ knowledge and skills particularly on HOTS, SEAMEO QITEP in Language (Centre) conduct Workshop on the Syllabus Development for HOTS-based Training on Language Teaching Methodology-Phase 2 on 16-20 April 2018 in PPPPTK Pendidikan Jasmani dan Bimbingan Konseling, Parung, Bogor. The workshop was a follow-up activity from the previous workshop (phase 1) which had been conducted in the beginning of April 2018. 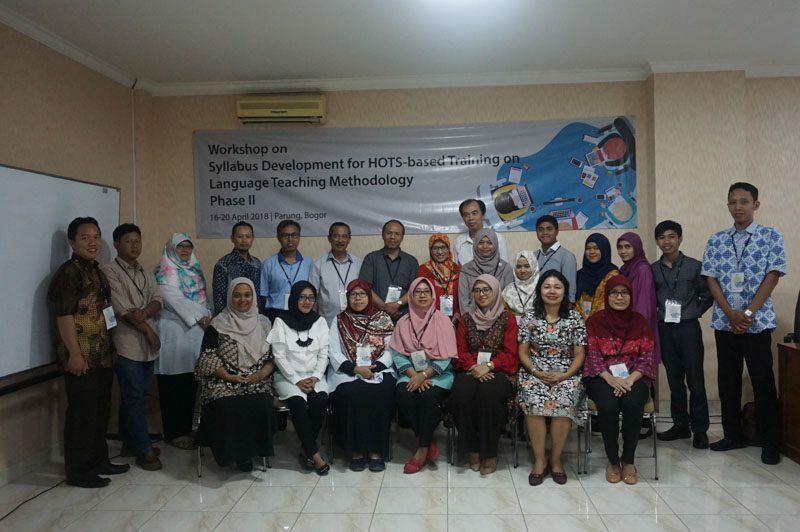 However, different from the phase 1, the aim of the workshop phase 2 was to validate the results of the previous workshop, i.e., the draft of syllabus for HOTS-based training on language teaching methodology particularly on three learning models (discovery, project-based and text-based learning models). The validation result was, then, used as the basis in designing a framework of training materials. 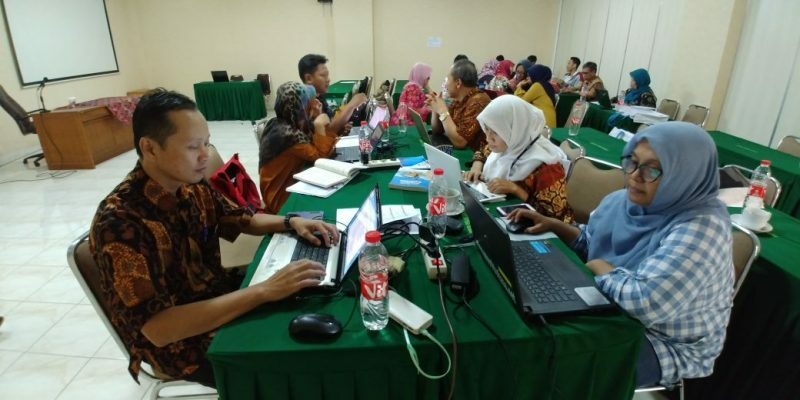 There were 20 persons consisting of lecturers, teacher trainers and academic staff of the Centre with various language backgrounds such as Arabic, English, French, German, Indonesian and Japanese language, took part in the workshop. To achieve the workshop’s goal, significant knowledge on the concept of validation and the aforementioned learning models related to HOTS were exposed by six resource persons. They were Prof. Nurul Murtadho from Universitas Negeri Malang, Malang, Dr Sri Setyarini from Universitas Pendidikan Indonesia, Bandung; Dr Tri Wiratno from Universitas Sebelas Maret, Surakarta; and Prof. Emi Emilia from PPSDK, Badan Pengembangan dan Pembinaan Bahasa, Jakarta; Dr Bambang Indriyanto and Ms Esra Nelvi M. Siagian from the Centre. During the workshop, there was focus group discussion session between the participants and the resource persons. The discussion was purposely conducted by the Centre to gain more information from the participants and the resource persons related to the concepts of HOTS they known, indicators of language teaching achievement of HOTS-based language teaching, HOTS-based language teaching in line with the 2013 Curriculum as well as the three types of learning models. The results of the workshop, i.e., the validated syllabus and the framework of training materials, will be the Centre reference in developing the materials of the HOTS-based training on language teaching methodology.